Every early years setting should partner with a local older people’s care home or housing scheme, according to a new report from United for Ages. The next generation argues that intergenerational projects can “raise educational attainment, change attitudes, solve tough issues and shape the future”. The report makes eight key recommendations for practitioners and policy makers, including the suggesting that every nursery, childminder, children’s centre and baby and toddler group partners with a local older people’s care home, and vice versa. The report also says that children involved in intergenerational projects “have better reading and communication skills” and are more “school ready”. 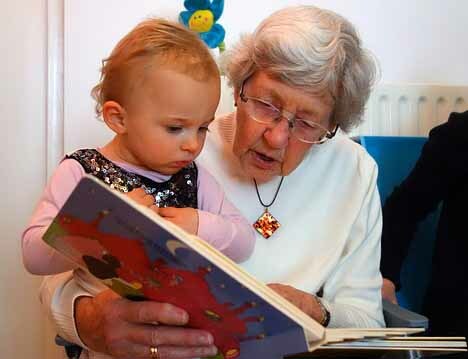 Intergenerational projects may also help to “solve some of the tough issues facing the next generation” according to the report. It says this includes reducing crime and promoting social mobility. The report also calls for schools to engage with older people in their communities and asks local authorities to work to build communities for people of all ages. Neil Leitch, chief executive of the Alliance, commented: “So far, the majority of the discussion around intergenerational projects has focused on what it means for the older people involved and that has meant the impact on child participants is sometimes over looked. “Interacting with older people provides children with unique learning opportunities; that could mean the chance to take on the responsibility of ‘looking after’ an older person or to learn from someone who has experienced and overcome challenges.